Our interest is to return reiki as an energetic system to its original quality level, as Japanese reiki master Mikao Usui treated doctors of Japanese Navy during the first world war. It’s an interesting step, where Reiki system wasn´t used only for the emperor and his family and this was a tradition not only in Japan, but especially in China. 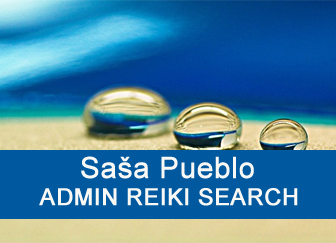 As I have the ability to find souls of dead people, so it´s not a problem to see the level of first reiki masters. It is also possible to look at the post-mortem records via magmatic Earth core. This acts as a digital camera and stores information about activities of every living organism. We have got information from there and we compared the efficiency of today´s reiki and reiki of Japanese military doctors. Differences were too strong. Today reiki masters activate neural and neuronal structures formed in the age 20, 15, 10, and 5. In case of Japanese military doctors there is deep intervention to blocked embryonic structures from the month 9, 8, 7, 6, 5, 4, 3, 2 and 1 of embryonic development which is even better. From the research of long-lived people we found that even in the 90th year of the life have 50% active of neural structures from the embryonic development. 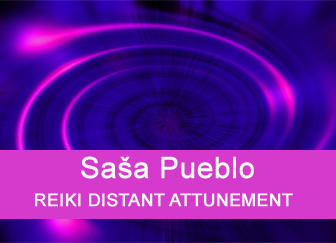 We checked the whole reiki system and found a fundamental error and this is that the system insufficiently activates passive and blocked nerves and neurons. What energies have to flow into the person practising reiki? Undoubtedly the energy from the nature and certainly from pregnant female animals and not only from them. Such energy is the right energy to open embryonic structures and their support by help of supplied energy and life pulsations. And this is also applied to masterful reiki, where reiki master Mikao Usui should have that flow of the bioenergy. This article is for sensitive people who have the potential to perceive these energy transfers. And if you want to understand, you should study quantized particle physics and understand what is possible and what is not. The basis of reiki and reiki consecration is the formation of spirals. The person imagines clouds and from these clouds forms geometric structures and characters. You can watch clouds and adjust your eyes so that you would gradually see figures, animals and creatures in clouds. Of course, it is not real and that is a fantasy, but it’s okay. As it should be, and it’s a basic reiki training. In your head to create spirals and similar shapes from any imaginations. As a result is the gradual formation of spirals on the surface of the skin and directly into the skin. Actually you mobilize the nerve sensors to heat, cold, touch and pain in the skin. And so here it is. The entire consecration of basic Reiki is about this and you can do it via the meditation. This needs to practice. The problem is that spirals and imaginations that you create from clouds must be purely from children’s imagination. Then you better manage to unblock neurons and neural pathways of nine months of embryonic development during the pregnancy of your mother. We continue on and it´s about ideas and change those ideas on other ideas. If you can work so inside of yourself then you activate the formation of spirals in the skin and begin to build basic reiki. 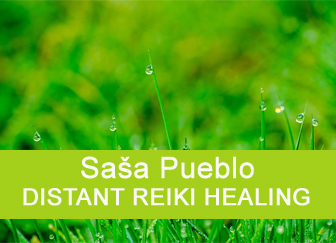 You connect to the nature within this reiki and restore the bioenergetic contact with the nature which civilization blocked. We are all equal with the nature, trees, animals, birds eggs and the equality brings renewal bioenergy flows inside of us and with the nature and with magnetic core of the Earth and its magnetic potential. There is a phenomenon of the fog, which is good for training ideas how from spirals on the surface of the skin forms and cumulates a bioenergy. When you create spirals from ideas and how you cut them, chop, grind them, the number of spirals on the surface exponentially growing and their activity increases. Each thus formed spiral can penetrate into nerves and neurons and activate them. It is important by child spirals penetrate into neurons and nerves from nine months of embryonic development during pregnancy your mother and mobilize these groups of neurons. They don´t die, they stay active only little. We should pay attention to opening neurons from the age 20, 15, 10, 5, when neurons dramatically added up and changed. This is good area for the development of the ability to create different shapes from natural materials. For example, from a piece of the wood to realize imaginations about embryos. From the piece of the clay to model imperfect spiral. From pieces of the marble cut out children hands, that will eventually heal us. The gradual accumulation of spirals around the body of reiki master and this is eventually linked together like tiny whirlpools. And this is happening on the skin of the meditation person and all spirals are generated in the umbilical chakra. Why this is happening?In this area you had active structures in your embryonic development for treatment and processing of blood coming from the mother by the umbilical cord. These structures should be mobilized and put into operation. This area provides the elimination of lactic acid for some marathon runners. When the body contains lot of lactic acid, then muscles refuse to run because they are blocked by lactic acid. And thanks to the activity in this area lactic acid is reduced in the blood. 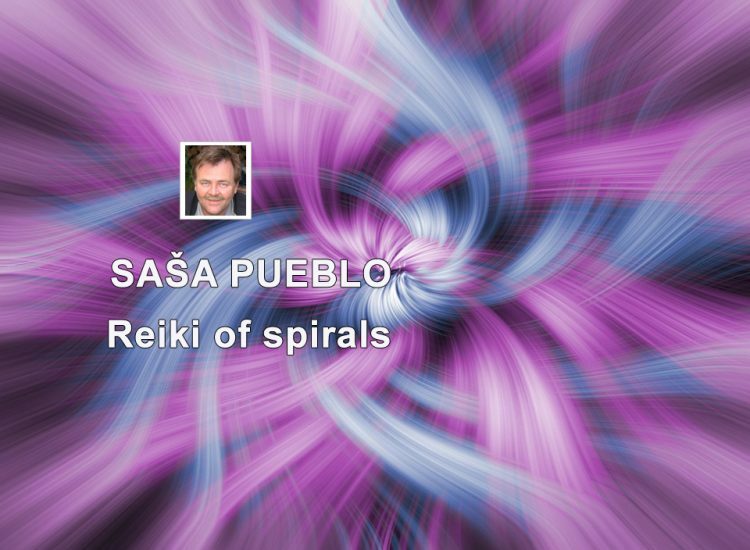 Within reiki all spirals are combined into one dense spiral, which has extraordinary healing properties. We will be higly interested in the shape of seashells. It is a spatial spiral of natural character. And again, this is a unique training from ideas in our head. Meditation person activates in mind ideas of clouds, rocks, water, stones, fog, wood, etc. converting them into spiral inspired by the shape of shells. Reiki master again and again creates in the head from his ideas spatial spirals and saves them to the surface of his body. These spirals are hundreds and gradually start to rotate on the body surface. Try to produce spirals like a small child and not as a professional artist. No perfection, but children’s gullibility and a little insecure children’s hand. The point is to use these spirals as a help to open embryonic structures from nine months of fetal development and embryos in the pregnant mother. Their activation gives health and longevity. Then we add imaginations of child hands formed from other ideas in the head. And all visions are gradually concentrated and converge in the navel area. We can be healed by the rotation in the navel. If you have mastered the formation of spirals and coils from ideas in your head, it’s time to have formed ideas of spirals for example from cloud ideas linked in the mind to geological faults, or as they are called esotericists – dragon vein. They are located in different places, mainly in mountains. Many of these dragon veins are located in Slovak Paradise, or you can find other dragon’s strength in surrounding mountains or take advantage of maps on Internet. You send created spirals into the space of geological faults and increase the energy power of spirals which return to the surface of your body. Reiki master should feel that magnetic or geological faults are equal partner to him. He should not doubt natural healing forces. Reiki master is in contact with geological faults in a state of falling in love with the nature. Something like fetishist for loving and healing nature. Reiki master receives as the reward bio energy of formed spirals. Spirals which reiki master produces from his imaginations can act as the suppressor of inappropriate influence. Formed spiral should help to open nerves and neural embryonic structures inside the person who is healed. These spirals block the activity of neurons of 20, 15, 10, and 5 age of life. Into the body of the treated person are placed such spirals and they are placed into the so-called embryonic memory to which you get through chakra points. Embryonic neurons scattered throughout the body of the treated person creates embryonic memory which is necessary to clean from inappropriate objects and insert there, for example, those medicated subjects linked to geological faults. These are security signs, which are able to mobilize against undue interference and activities. Into the imagination of created spiral can be added more characters and the best characters inspired by injury of the body surface and cutting injuries. Another possibility how from imaginations like clouds, rocks, fog, night, water..create other imaginations and transform them into fractal objects according to principles of creation and destruction of some structures according to the deeper rules. This requires to watch videos on fractals and then according established facts create spiral structures according to rules of the nature and its laws. Emerging spirals, circles and other characters will be simply created a little differently, just as flat or spatial spiral. Such an approach to reiki characters and energy objects leads to better healing power of fractal spirals. Still remains that fractals have to be created as they would be created by the child. Once you have mastered the production of spirals and certain imaginations from other ideas in the head and body, it’s time to actively learn to form ideas about tiny child hands from different embryonic and fetal development. It is possible to take from this period about 4 embryonic limb development phases. Simply child hands not hands of adults. Classical reiki does mistake here because it uses adult hands and this activates energies which penetrate into neurons after the birth not before. A true healing power is in the activating and awakening embryonic neurons. Children embryonic hands are created from different imaginations as imaginations when creating spirals. Emerging hands from ideas in the head is moved to the navel area and here they are combined to the energy disc, which helps to treat human body and the embryonic structure in the human body. If you were healed or you healed different person then finally you place such energy disc into human bones where the entire gradually extinguish. So this is a unique place in the human body and we should look on this chakra from the perspective of the sensible and from the perspective of an expert in embryology and not from the perspective of the ordinary person. The point is that if reiki person was in the pregnant mother he was nourished through the navel and umbilical cord, which is linked to the placenta and the mother alone. This is well known to everybody. Less known is that the embryo itself has own digestive system around the navel and this system has the embryo in the whole little body. This system is capable to send signals into the mother and is able to regulate what comes into him by blood. Especially when the maintenance of the embryo is somehow unsuitable. Some embryos are capable chemically penetrate to the mother and adjust right chemistry inside the mother. These are extreme stages. I believe that you will look on the navel and inside stored embryonic digestive system differently then before. And reiki should activate these structures which are blocked in the adulthood. They are active only sporadically, mainly in people who run marathon or do extreme sports. With the help of oracular techniques we researched this activity in some marathon runners and we found out that it was used for the destruction of lactic acid in the blood, which causes muscle fatigue and at hight doses can block muscle activity at all. The embryonic center for regulating digestion hiding other secrets and the ability to accumulate bioenergy and associate it with signs of spirals, circles and different signs and create healing energy and energetic discs and discs for masterful reiki, which is stored in the embryonic memory through chakra points on the human body. We have in mind the female animal in the state after the fertilization. Why do we mention this here? Reiki and masterful reiki is typical by connection of reiki master with those who he consecrated. He may support consecrated persons by bioenergy which he creates in the area of his navel or the navel of the person who he heals. 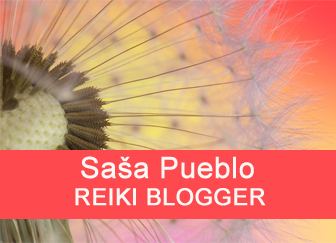 We tested the amount of Reiki masters and especially abroad, and we investigated their health status and we can say that it´s serious disaster. Not only health disaster but they are also in bad mental conditions. Why are reiki masters in such catastrophic state? Some of them execute therapy treatment through their heart, and this is complete suicide. Applied reiki does not open embryonic structures inside the reiki master and not open them in their clients. 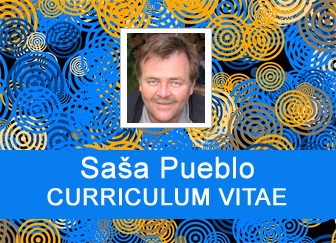 I know that this criticism reiki masters don´t like, but that’s okay. Next is the phenomenon that through reiki masters flow energy of sick people, and it is even worse than living in a cesspool. Therefore I intend to end with this tradition of masterful reiki connected on everyone and people with diseases. When masterpiece reiki the person gets the connection to pregnant females and healthy and vital trees and other natural objects. Reiki master has to approach embryonic structures in those who he will be heal. It good when reiki master understands the embryology and this knowledge enforces in reiki systems. It is about the role of the placenta in fetal development and how the placenta gives energy and information into neural structures of the embryo. The whole reiki must become possessed all about the pregnancy and the fetal development. We have to learn how to read between lines and who deeply practices reiki could understand what I am referring to. This simply needs the practice. A special technique where you create spirals in your head and then you see them in the mirror. Then you smash the mirror and each mirror piece shows spirals as in holotropic record and when that record breaks up into several parts, each part contains all spirals. These are techniques to improve reiki treatment. This is a specific technique, which directs into the system of protective reiki. It starts overhead and ends underfoot of the reiki master. It is associated with the world of extreme shamans.They had the level of child psyche and so maiming and harming the body works in shamanic psyche completely different. Even blood rituals, sacrifices and the world of the dead works differently in the brain of today’s rational human and otherwise at prehistoric man in the embryonic mind.